It’s been a long time since I read anything from David Sedaris. The last one was When You Are Engulfed In Flames, which I found thoroughly entertaining (and I should re—read in the near future). Let’s Explore… covers moving from France to Britain, collecting rubbish, praise for his squad of dental surgeons and technicians, learning German, going on book tours, waiting in airports and riding on trains, and receiving a colonoscopy. Some sections are pieces of micro fiction from the point of view of fictional, pantomimed dullards. I liked these the least. Because it veered away from David’s witty observations and linking them to another chapter in his life. Sedaris writes reflections excellently. But when it comes to these POVs, they come across as overly sarcastic caricatures that I cannot scan. 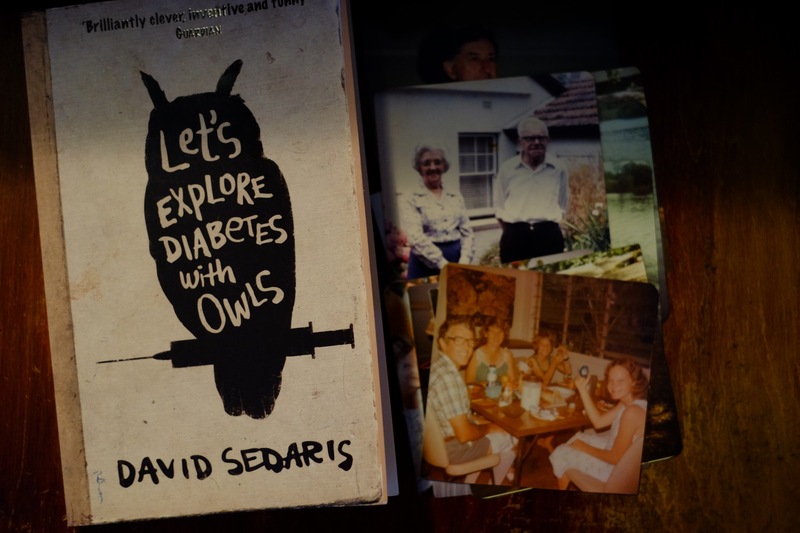 This entry was posted in books and tagged books, david sedaris. Bookmark the permalink.